Western Australia’s population is growing older. The median age of West Australians is set to increase from 36 years today to 40 years by 2050. During that time the proportion of West Australians aged 65 and over is projected to increase from 13% to 18% in 2050. In many respects this ageing is a positive development: it reflects that West Australians are living longer, healthier lives and growing in affluence. However, population ageing also brings challenges. As people grow old, some of the key issues they face concern their independence, housing and the desire for ‘ageing in place’, physical and mental health and financial security. At the macro-economic level, population ageing is expected to reduce economic growth and impact negatively on public finances. 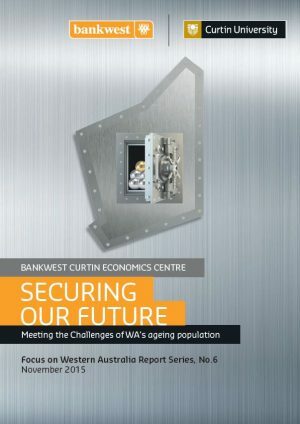 Securing our Future is the sixth report in the Bankwest Curtin Economics Centre’s Focus on Western Australia series. 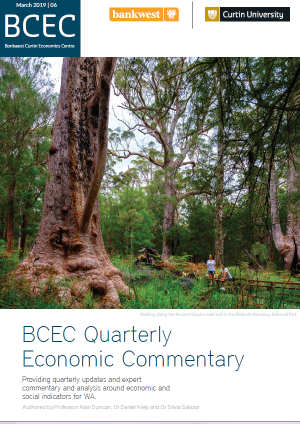 It brings new evidence to an important policy issue with a focus on the West Australian context. 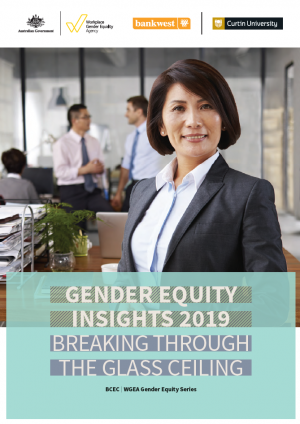 After presenting some key trends on demographic changes and projections in Western Australia compared to the rest of Australia, this report explores a range of issues that are pertinent to older West Australians. These include their economic and social participation, health, wellbeing and quality of life, housing and care needs, and financial security in later life. This report finds that there is a critical need to install safeguards to protect the wellbeing of older West Australians facing financial and housing insecurity. Older West Australians are more vulnerable than in other States and Territories in some respects. Many households in WA are exposed to high housing cost burdens in later life. Older home owners in WA have higher rates of mortgage indebtedness in retirement than in other States and Territories, and significant numbers of West Australians are renting in old age. Single older women who have experienced marital breakdown or bereavement are a particularly disadvantaged group. If the concerns of population ageing are not addressed, the resulting reverberations will be felt throughout the entire West Australian community in the coming years as the aged cohort grows in size. However, it is important to note that population ageing brings with it not just challenges, but many opportunities to harness the contributions that older persons make to their community. Older people make valuable unpaid contributions to the West Australian society through volunteering. Many undertake caring roles that in turn enable their families to participate in paid work. 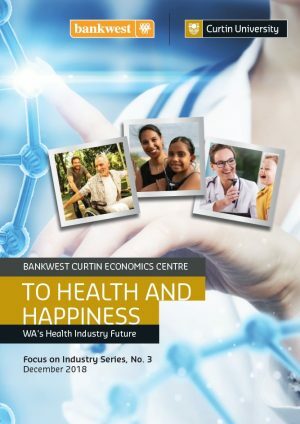 Overall, the ageing of WA is a positive development: it reflects that West Australians are living longer and healthier lives. It is also notable that older West Australians are relatively prosperous, more optimistic about their retirement futures and healthier compared to most other States in Australia. Securing the economic future of the State will not only entail meeting the challenges – but also harnessing the opportunities – that population ageing brings to Western Australia.